We have come up with one good news for Samsung Galaxy Note 2 N7100 users. Those who have already rooted and installed the latest version of Clock Work Mod Recovery in their android smartphone may now benefit from the Omega custom ROM firmware which is apparently the first custom ROM firmware for the latest Galaxy Note 2 N7100 device. Omega custom ROM firmware is one of the most famous custom ROM firmwares for other range of smartphones like Galaxy S2 and latest Galaxy S3. Please make a note that this firmware is not an official firmware released by Samsung and as of now there is no ETA on by when there will be an update for the Jellybean build. Please be informed that this firmware can only be applied on rooted devices. If your device is not rooted then do the same by following the tutorial which we given in the below link. There is a risk of data getting wiped off after applying this update, so we strongly advise to take backup of all your precious data (i.e SMS, MMS, Contacts, Call log etc)available in your phone. Note down the APN and MMS Settings from the path “Applications > Settings > Wireless and Network > Mobile Networks > Access Point Names”. And also copy the images, songs, videos, files present in your phone to the internal/external SD card. In case your data might corrupted due to any reasons you can easily recover them with the help of backup and above mentioned instructions. So, once you have created backup then move them all to the computer so that they are safe. IMPORTANT : Please don’t use ROM Manager for backing the data as it may potentially brick your device. Also make sure that you are not creating back up with the KIES as it does not detect the device in the custom ROM firmwares. Enable the USB Debugging in your Galaxy Note 2 N7100 device by following the path “Settings > Applications > Development > USB debugging”. Make sure that you have left the battery level of atleast 40% to avoid your device getting turned OFF in the middle of firmware update. Turned OFF or preferably disable all the antivirus tools in your Galaxy Note 2 N7100 smartphone because this may interrupt in the update process. So, once you have done all the above mentioned steps, you can head over to the next steps where we have summed up a detailed guide on how to apply the custom ROM firmware. DISCLAIMER : Update this firmware at your own risk. We and even the developer won’t be held responsible for any damage that takes place to your device while following these steps. First download the Omega Custom ROM Firmware Package from here to your computer. Once downloaded, then connect your Galaxy Note 2 N7100 device to the computer with the help of original USB cable and place the zip file in your device and disconnect the same. After that turn OFF your device so that it can be enter into the recovery mode. Hold the Volume Up button + Home key button (i.e the middle button) and while holding these both keys press the Power button for turning the device ON in the recovery mode in your Galaxy Note 2 N7100. In recovery mode, select “Wipe data/factory reset” & “Wipe Cache partition” and then select “advanced” and clear the Dalvik cache too if you are on the custom ROM firmware. After this, select “install zip from sd card” > “choose zip from sd card” and then choose the Omega Custom ROM Firmware Package which you have placed in your Galaxy Note 2 N7100 smartphone. So, once you have selected it will take upto 5 minutes for applying the update. As soon as the update is applied successfully, the device will be rebooted automatically. Please make a note that it will take some more time than the expected time for rebooting the device. To check on whether your device is updated with the latest firmware version or not, you need to go to the path Settings > About Phone where the firmware version will be mentioned as Omega Custom ROM Firmware. NOTE : Just in case, your Galaxy Note 2 N7100 device gets into the boot loop sequence or say gets stuck in the welcome screen, just reinsert the battery and refollow the all above mentioned instructions. Congratulations! 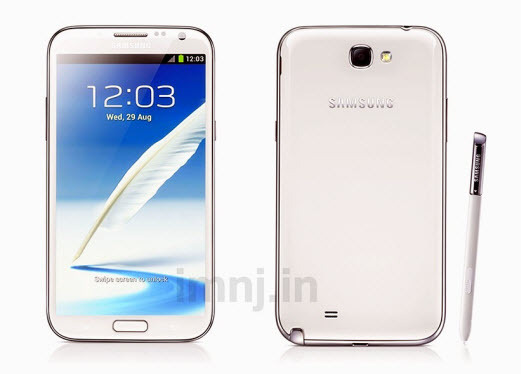 now you have successfully learnt on how to update Omega Custom ROM Firmware in Galaxy Note 2 N7100 android smartphone. Do let us know in the comments section if you face any issues we will try to sort out the same.